I'm a truly admirer of miniature art and game scenarios. During my childhood, I would long for the time I would create my own. Unfortunately, I was not born with the ability to sculpt, but my scenarios were quite realistic. Thanks to 3D printers, a wide window of possibilities was opened for me. And that marked the beginning of several interesting projects. With the advent of "home 3D printers", I became a fan of what hobbyists and professional modelers have been doing with that medium to create out there. 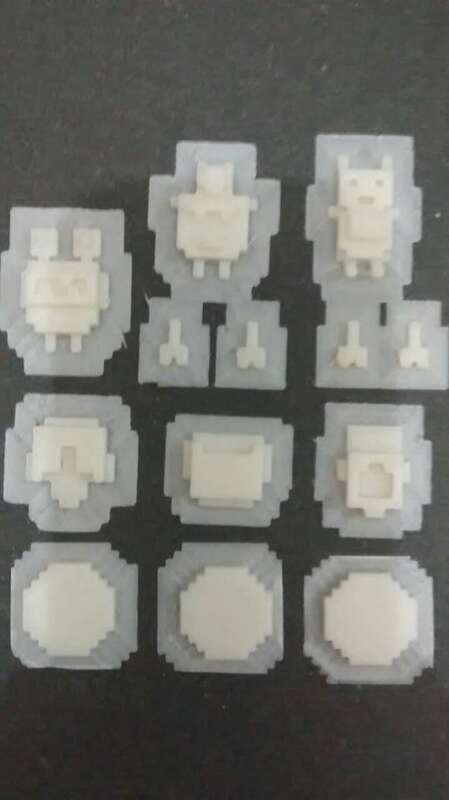 Today, we can print a range of objects such as drones, military stuff, train models, and a wide variety of other things. 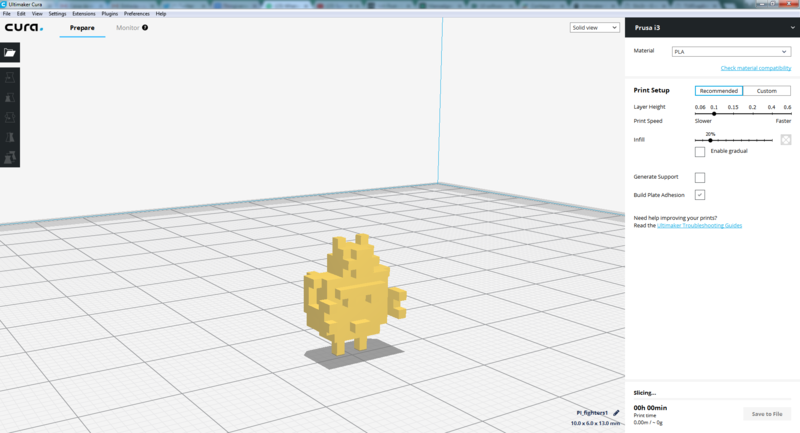 Thingiverse gathers lots of 3D models for your printing pleasure. It became one of my main sources for that. However, suppose you want to make your game components and create your own toys out of them? 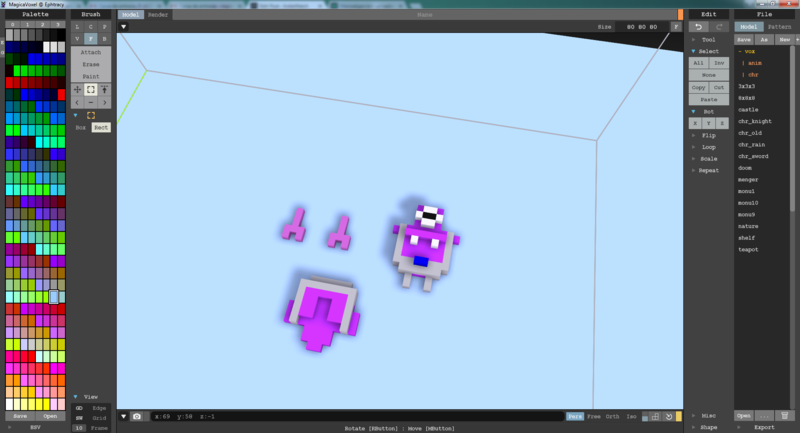 A simple solution for beginners is to play with voxels, as they allow you to create toy art style models. This article is meant to show you how to export a 3D model into a cool printed little you can hold on your hands. I've been working on a wrestling-based fighting game project, the Cosmic Lucha. 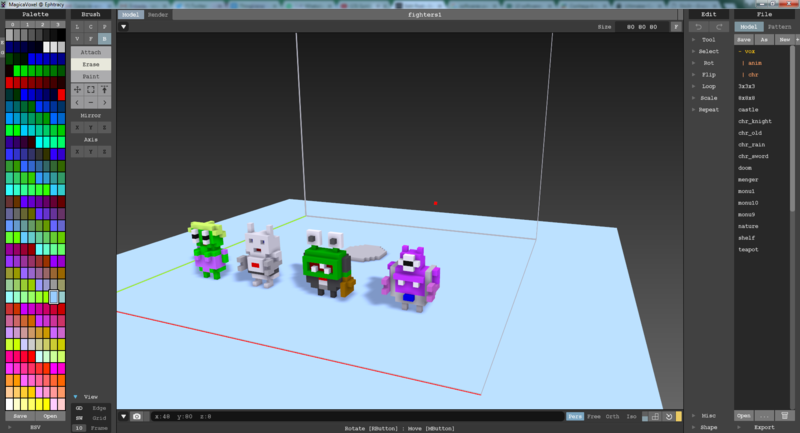 My idea is to create a simple game with miniatures made in voxels, in toy art style. 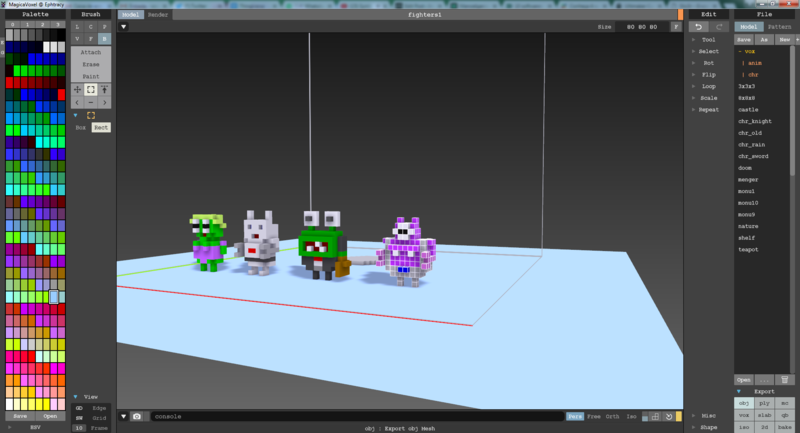 Initially, I created four fighters inside Magica Voxel with a support base. Magica will export the model into the OBJ format and you can even use it in more than one game engine like Unity or Unreal. However, depending on the type of printer you have, the printing will not be so good and you might run into some issues you'll wish to avoid. I'm the proud owner of a 3D RepRap printer. It is a home-made printer and it's suitable for most of my projects. Anyway, if you're a beginner, expect some minor issues to consider before you dive into the wonderful world of 3D printing. One of the biggest problems you might run into while printing models is about setting up the so-called supports (or print supports). 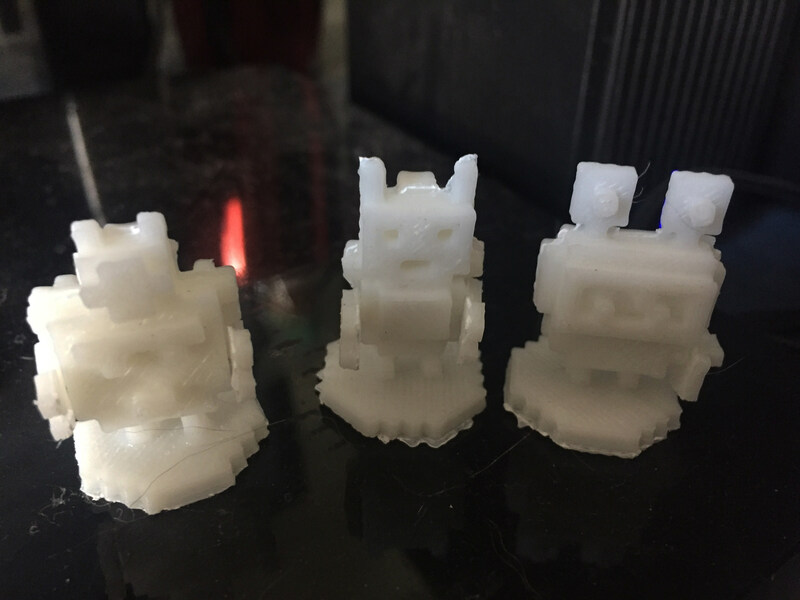 When it comes to printing models with more than one part that can't "touch the floor", that can cause some difficulties and leave some bad undesired marks on your model. However, there are software meant to prepare models for printing and that will also estimate your printing time. 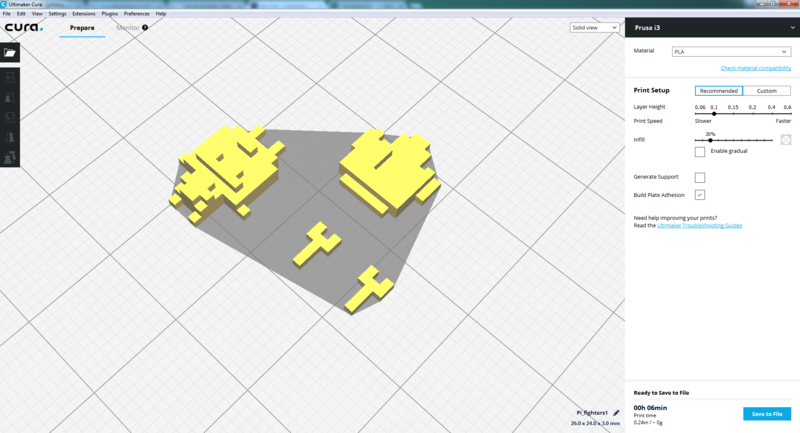 I'm currently using Cura by Ultimaker, which has a number of features and support for various printers. 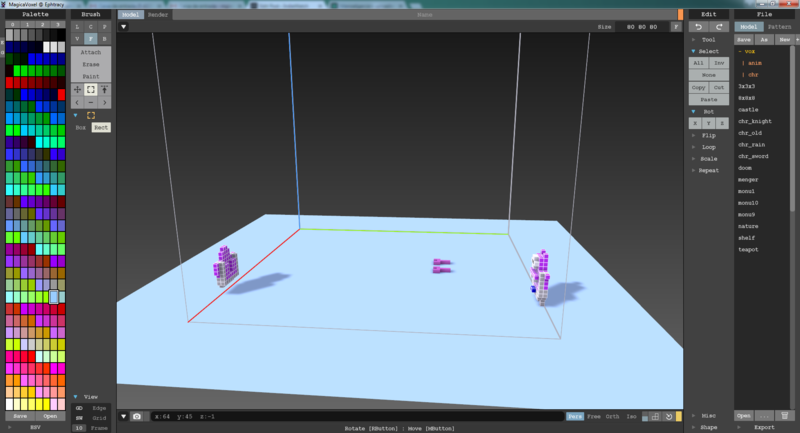 As an example, let me show you how to export one of our fighters, the Caretaker. 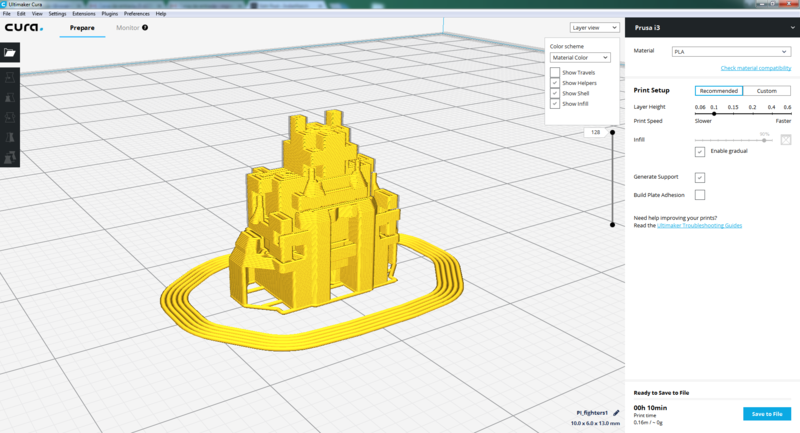 Try to avoid models with complex parts as printers will create supports for printing them. If you have a home printer, remember that. Some software already try to slice a model as an "automatic mode" setting for printing. Bear in mind that, sometimes, the result might not come out as expected. Sometimes, a manual slicing generates better results. The bigger and more complex model, the more careful you must be, padawan. If you use 3D printing services, the default file format must be STL. 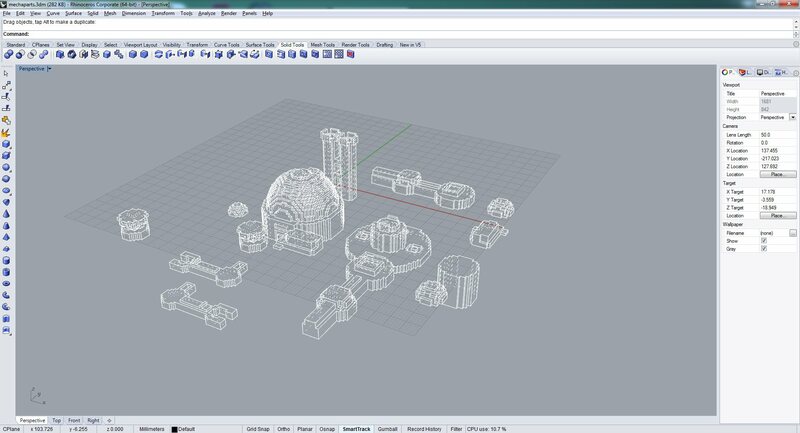 Don't worry, because most 3D software converts from OBJ to STL. Guys, I hope you like this simple article. 3D printing is a set of production methodologies that you develop over time. From there, you will create your own and get good results. That's it... If you have doubts or need to talk more about it, or simply wish to say hello, drop me a line or two on the comment section below or send me an email: mgleitef@gmail.com. See you soon in future articles, and please support my Patreon so that I keep bringing new cool things!